Play DVD with Windows Media Player has always been fun and much easier. Windows Media Player has had a good tiding with other formats a reason why many individuals would want to play DVD with Windows Media Player. With Windows Media Player you will be able to play a variety of audio CDs, data CDs, in addition to data DVDs that contain music or video files. On the other hand, you can also play video CDs (VCDs) which are similar to DVDs despite having a low quality video as compared to DVD. One major reason why many people play DVD with Windows Media Player is because of compatibility issues when it comes to decoders. What one needs is a DVD drive and a compatible DVD decoder installed on their laptop or computer. On the other hand, it is easier to solve problems associated with missing DVD decoders. Sometimes you might find it difficult to play video Windows Media Player without understanding the reason behind it. However, the truth is that Windows Media Player only supports the default video format. This means that for you to play DVD on Windows Media Player you will have to convert DVD to Windows Media Player supported format for instance (WMV, WMA and AVI). Well, in this case you will need a DVD converter program that has the capacity to convert DVD to other file supported by Windows Media Player. 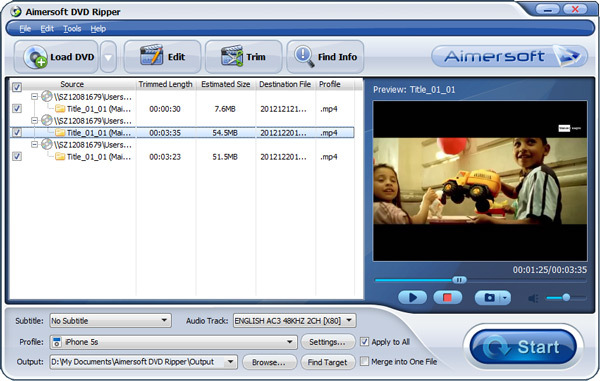 Aimersoft DVD Ripper is a program that can give you optimum results. Aimersoft DVD Converter is a high quality DVD ripper software that supports virtually all the Windows Media Player supported file format. In addition, it has the capability to convert both homemade and commercial protected DVD movies to your file format of choice. It is also fast in ripping but you are always assured of a high quality output video that you can also edit, watch share with friends without mentioning playing in different devices. 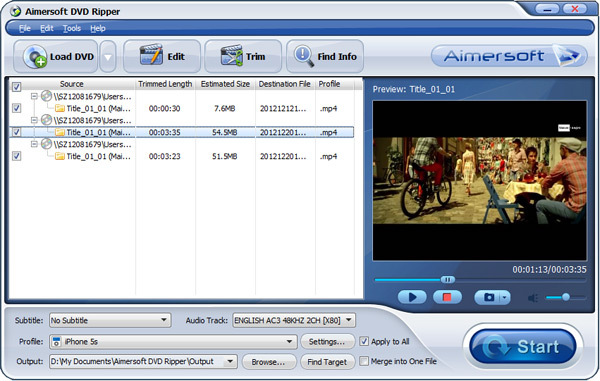 It is very easy to convert DVDs to Windows Media Player supported video formats with Aimersoft high quality DVD ripper. Besides, it can also rip DVD to popular devices like iPad, iPhone, iPod, PSP, Zune, Creative Zen, Google nexus one, Archos, Xbox 360, Apple TV, etc. with fast ripping speed and excellent video quality. Just get Aimersoft DVD Ripper and watch DVD movies anytime and anywhere you like. The equivalent Mac version is Aimersoft Mac DVD ripper software. Here are the steps to follow when converting DVD to Windows Media Player using Aimersoft DVD Ripper for Windows. 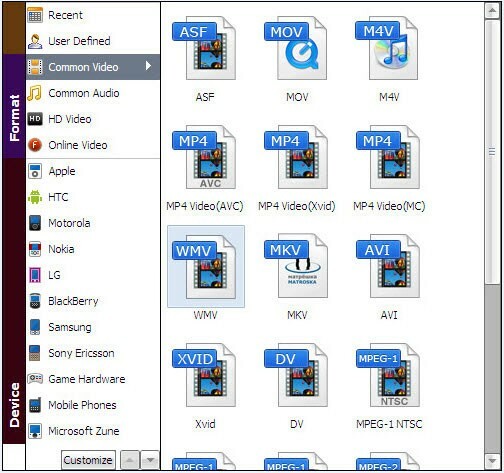 Typically, you will begin by inserting your DVD in your computer drive after which you will be required to run the video converter software. And click "Load DVD" to import the files you want to rip. If you want to merge all DVD titles together, tick "Merge into One File" on bottom of the mian window. Tips: You can edit the video as you wish. Triming, croppong or adding visual effects are all supported. hen you are done with the settings, click the Convert button and initiate the conversion of DVD to Windows Media Player supported file. When the conversion is done click "Open" to locate the converted WMV file on your laptop or computer. After you have located the converted WMV file on your laptop or computer. It is time to import it and enjoy the high quality video that you have converted from your DVD. If you have already burned your windows media supported file format to a disc just place it in your drive. Alternatively, if you have not yet burned using your windows your windows browser to navigate to the converted file and double click to run the video. Windows Media Player provides DVD playback and it relies on a supported decoder, either hardware or software. When these are present, Windows Media Player supports for DVD playback that is provided by DirectShow, using excellent features of your video hardware, for example, the Video Mixing Renderer (VMR). Now, sit down and relax. The DVD playback will automatically start. If the disc does not play automatically, click Quick Access Panel button on the Windows Media Player menu and select the drive that contains the DVD. If there is no compatible DVD decoder installed on your system, you will encounter a "Cannot Play This DVD" error when insert the DVD into DVD drive. As mentioned before, you cannot play a DVD on your laptop or computer if you do not have a Windows DVD player program installed DVD codec, or a DVD decoder. Therefore, you will need to have a third-party software DVD player. There are a number of options that can be used to play a DVD with Windows Media Player. However, the most favorite is to install thae Windows Media Center Pack. You will require a windows media center pack because Microsoft didn’t do away with DVD playback in Windows instead they moved it to the Windows Media Center pack which can be bought at $10. In this case, you will have to pay for the product key. However, it is recommended to opt for VLC media player if you are just looking for DVD playback. 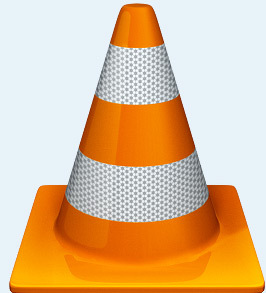 VLC is the most used third party software in the world today. It is a powerful media player made by VideoLAN. It is powerful and virtually capable of working with any audio or visual file format that window media player cannot handle. It is a free software that you will have to download before installing it to your computer. Once the installation is complete, it is time to enjoy your DVD. Watching DVD on VLC is that simple since you only need to open VLC and with the DVD in your drive—click Menu, then Open Disc. In case you don't want to install so much video player, why not directly convert DVD format to let it play smoothly on any media player? Excellent DVD Ripper is ready anytime for you to use. Try it now!